Today’s organisations are complex to navigate and challenging to succeed in. If you want to grow your career you need to be able gain greater traction at work and make progress. In short, you need the capability to influence at all hierarchical levels. A purely technical approach to your work doesn’t cut it. If you struggle to be heard and to build stakeholder support for your ideas, or feel that your career needs a boost then this book is for you. The world is changing – rapidly. If you want to make the most out of changing circumstances you need the skills to influence effectively – so you can better challenge, inspire and engage those around you. “Step Up” provides the insights and techniques to help you do this, and in turn, secure greater progress for the organisation and your career. Step Up has been reviewed across the globe and received great reviews. Want to know more? Then check out these reviews. “Crucial to a successful career, and to an extent life, is the ability to influence others. Michelle Gibbings has written an easy to read and practical guide to building your influencing skills. This guide would assist people working in the private, public and non-profit sectors. “Step Up is an excellent book with key tips, principles, case studies and examples critical to successfully lead in business. The guidance in this book will have a very big impact on the leadership of the reader. During my career, I have applied many of the principles in the book and they have had a profound impact on my leadership and how I bring my “whole self” to work. They’ve been instrumental to my career success. I’d encourage Step Up to anyone who wants to take their career to the next level”. If ever there was a time where change is accelerating at break neck pace, it is now. Consequently, the skills needed to more effectively influence and thereby better lead those around you are becoming increasingly valued by organisations. To better meet these challenges, there is no doubt that Step Up will provide you will some wonderful frameworks to support you. In her own engaging style, Michelle shares some practical and easily implementable methodologies for behaviour change. This book is NOT simply another step by step guide to changing behaviour. It is a book that if read with a receptive ‘learner’ mindset, will bring you to a greater understanding of the value that can be created through improving your influencing skills. Throughout the book, Michelle covers a range of subjects all designed to raise your influencing skills, each supported by a series of “check point” activities which, when properly completed, will help you to embed your learnings. I have always been impressed by the effortless and pragmatic manner in which Michelle influences those around her. It seems only fitting then that she utilise these skills and her many years of authentic leadership in this field to share her learnings with you. 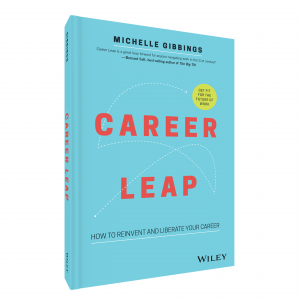 If your aim is to step up and improve your influence at work, then I wholeheartedly recommend Michelle’s book to help you gain a much better understanding of the keys skills needed to help get you there! ‘Step Up’ is an easily digestible, pragmatic and accurate roadmap aimed at building and maintaining relevance and profile within organisations of all sizes and environments. It will be appealing to leaders at all levels, but especially to those who are about to leap into unfamiliar or challenging roles or territory. 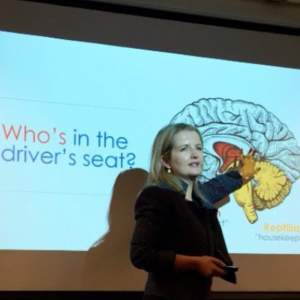 Michelle does well to call out that which can and cannot be influenced, and her approach is particularly relevant to those moving from functional management to senior executive leadership roles. As a long-time member of the “Cardigan Brigade” (see page 1) I have seen many technical people who have really struggled to get their point across. This easily digestible book will help subject matter experts self-reflect and provides support to empower them in how best to present, negotiate and influence positively. A highly accessible leadership book suitable for all technical team members, whatever role they are in. A great mix of personal experience, practical models and theory to allow an individual to maximise their influencing skills and navigate an organisation successfully. 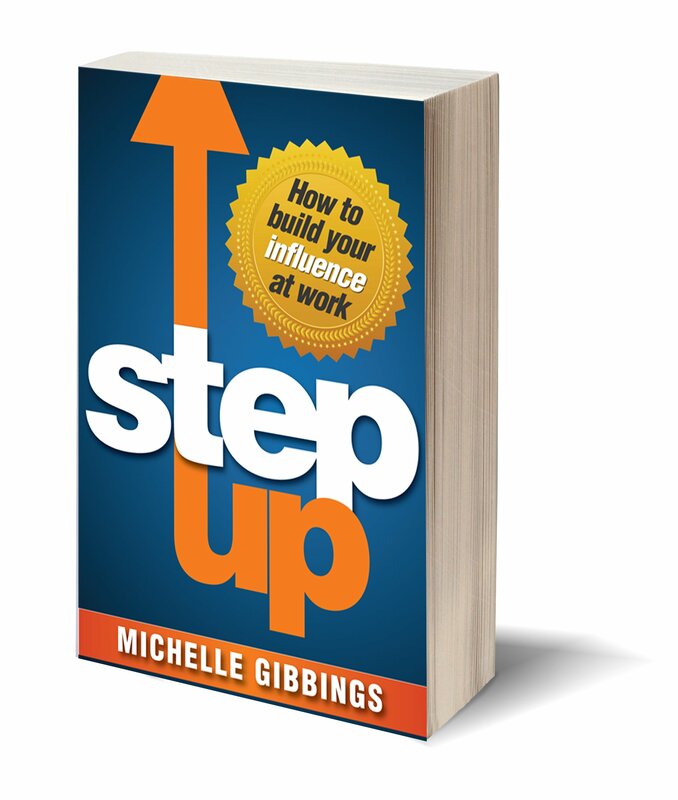 Step Up is a book packed with insights and practical advice to help leaders make a difference. Michelle challenges and encourages the reader to look within themselves and then shows them how to influence with impact. A must read for anyone who takes leadership seriously. In an age when our work environments are becoming faster and more complex – and saturated with ‘change’ – the opportunity for technical corporate specialists to step out of their comfort zones and realise their potential has never been richer. Michelle Gibbings’ book illuminates the power and potential of the insightful influencer, providing easy to understand and well tested frameworks and working examples. As a blend of science (you’ll never think about your brain in the same way again! ), philosophies and personal experience, it is clear that this book has been crafted by someone who is passionate about seeing the technical specialist become as important to successful, impactful and quality decision making as those who run out front and traditionally get the glory for a company’s success. A conservative guess is that at least fifty percent of Academy Leadership Excellence Course participants are strong technically and not quite so adept at leadership. If that describes you, Gibbings book is for you, the more technically focused but at that stage in [your] career where [you] know [you] need more skills – of a certain nature — if [you] want to advance (p. xvi). Jim Emerick, Founder and President of profit-with-purpose Choinque LLC, an international network of organizations in relentless pursuit of the good and best within themselves, and even more so, in others. I just finished reading Michelle’s book “Step Up”. t is a great book on how to be a better manager and team player as well as to lift your own career and life experience. I like that it not only had stories from Michelle’s own career but was backed with research from well known behaviouralists as well. The simple and easy to follow models and check lists makes this an invaluable part of any management book collection.